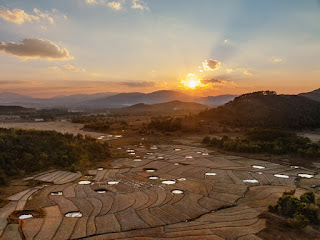 A wonderful short film by Nicolas Bailleul showing us the images of life in Laos. Beautifully shot and with nice musical accompaniment. Major Cineplex Group is expanding its footprint in Laos, aiming to have 30 movie screens there within three years. 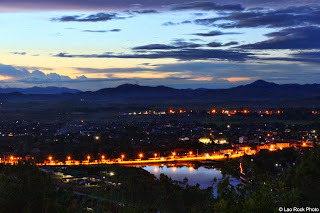 "Laos is a growing area for the movie business with its young population. The country is [also] attracting foreign investors, particularly from China, to erect a number of new projects including shopping malls, hotels and business centres," Vicha Poolvaraluck, chairman of Major Cineplex Group, said yesterday. A new travel documentary series called Across Borders hosted by Dr. Farish. It's a show that has won "Best Documentary Series" (International Affairs) at the New York Festivals 2015. In this episode, he visits Laos where he takes a close look at Chinese investment and in particular looks at the casino developments, past and present in Laos. It's fascinating and at times a bit heart wrenching but very eye-opening. Have a look! Video Credit: Across Borders, Episode 2: China - Laos, Channel NewsAsia. How massive? 33,933 photos had been collected, digitized, cataloged and stored. They had been collected from 21 temples in Luangprabang. 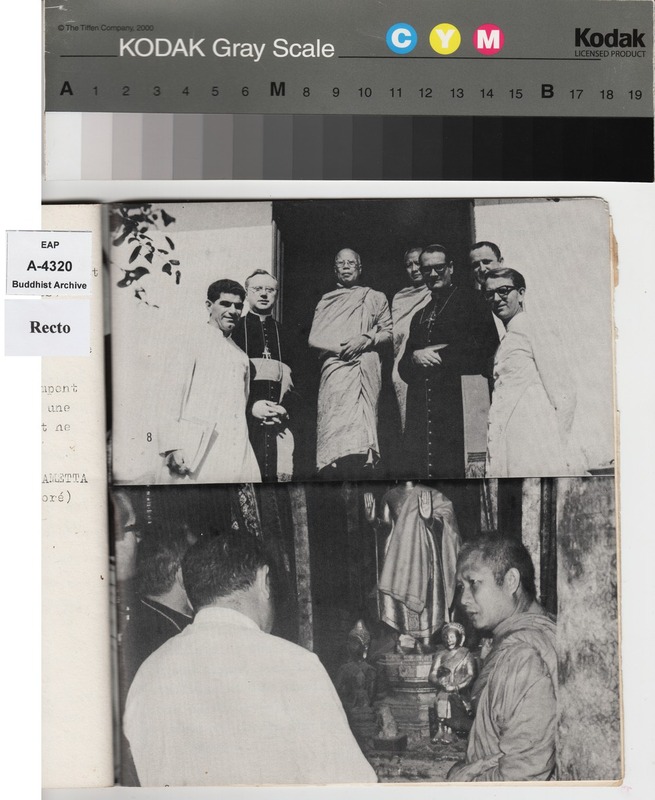 Considered likely one of the largest projects of digitization and cataloging of historical photos ever in the country. 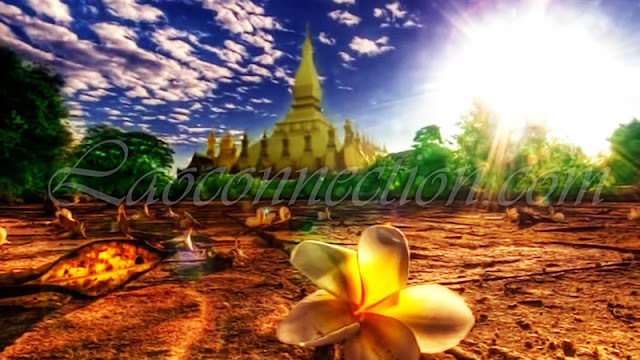 Photo Credit: From the Collection of Phra Khamchanh. Christian clergy representatives from the Vatican, led by S.E Mgr Giovanni Moretti, visited Luang Prabang and met The Supreme Patriarch of Laos, Holiness Dhammayana Maha Thela at Vat Mai Suvannaphumaram on Jan 15th, 1972. Since opening in February, Lao Friends Hospital for Children has treated over 4,700 children. With the outpatient department fully running, nearly 55 children can receive high-quality and compassionate medical care every single day. They are currently seeking support to grow LFHC and continue to expand our services, by opening an inpatient department in August, and an Emergency Room, Intensive Care Unit, Outreach Program by early 2016. Lao Friends Hospital for Children from Friends Without A Border on Vimeo. For days up there on the Plain of Jars I’d been trying to capture an image, find a metaphor, crystallize an idea that could convey what it means for Laos to have been one of the most heavily bombed nations in history and then to have gone on and somehow found a future. Finally, right there on a busy main street of Phonsavan, the provincial capital, I found it: a giant pile of bomb casings left over from the American bombing campaign in Laos, a stupendous and futile torrent of airborne destruction. And just beyond the junk heap of weaponry, a new ATM machine. Bright blue and gleaming white, this beckoning pagoda of money dwarfed the rusting debris of a half-forgotten war. After inspecting the bomb casings, I walked over to the ATM, stuck in my debit card, and pulled out one million kip, about $120. All those 50,000-kip notes spewing out of the machine told a new story about Laos, where an age of bombs has given way to an age of money. Here are just a few photos from Phoonsab Thevongsa when he visited and profiled Xiengkhoung Province. To see more of his incredible portfolio, be sure to click the link below. 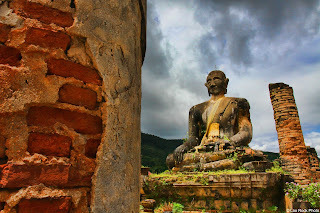 Ruins of Pia Vat, Buddha statue, Xiengkhoung, Laos. Video Credit: The World Bank. 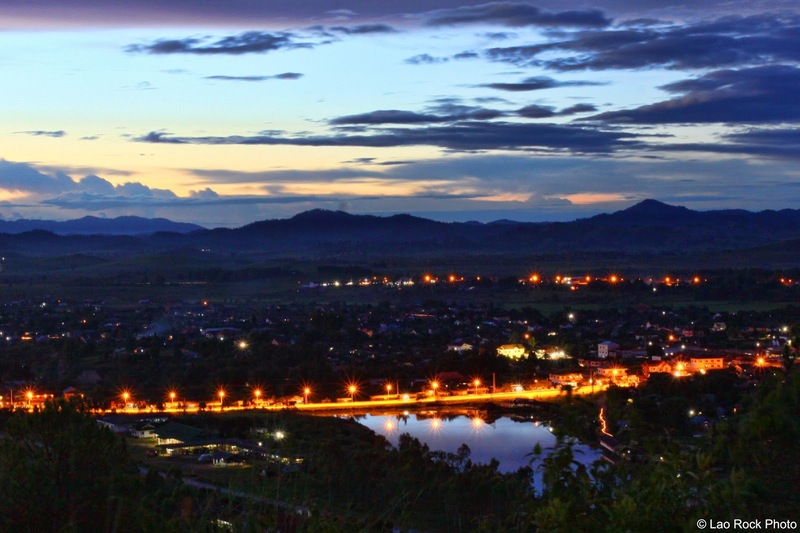 What Does it Take to Create More and Better Jobs in Laos? A government ban, fines and the confiscation of goods has not stopped Chinese opportunists seeking to make a quick buck in Laos stone, reports the Shanghai-based China Business News. 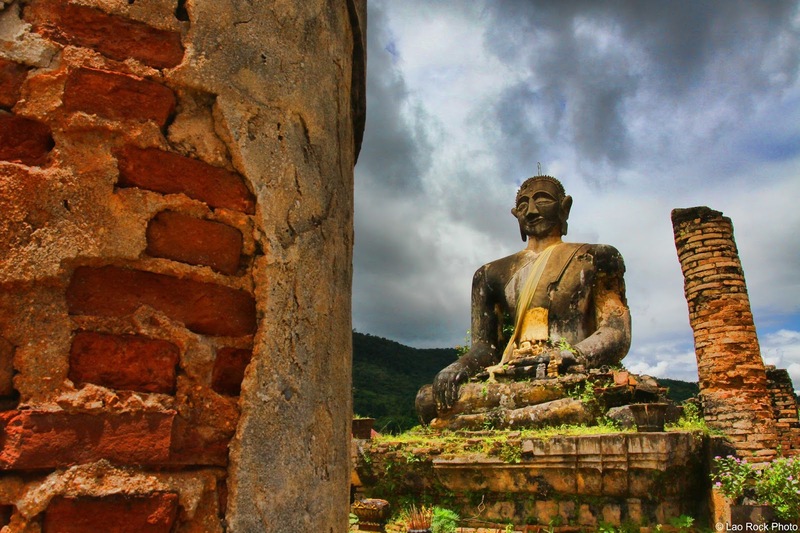 The popularity of Laos stone has investors betting that it could step up next to the greats in China: Shoushan stone, Qiantian stone, Changhua stone and Balin stone. Since 2013, stone traders have been going to Attapeu province in the Southeast Asian country and bringing back stone to sell in China. The resulting inflated prices peaked in the second half of 2014 at about 3,000 yuan (US$483) for a mid-grade piece. The price is still far below, a Shoushan stone of similar quality, which could be sold for between 20,000-50,000 yuan (US$3,200-$8,000). As reported by the Vientiane Today news site, July 12 2015, during a recent press conference where the Head of the Traffic Police, Bounmak Soundalay made his statement. (Reference: Video file below). He reported that for the first half of the year, the city had 818 motor vehicle accidents reported and 128 deaths confirmed. Additionally, the street with the highest amount of accidents is Tadua road (arguably one of the longest roads in the city). Along with Xathany district of Vientiane having the most reported accidents. High driving speed, drunk driving, lack of proper driving knowledge and not being careful enough, are among the primary reasons that are being attributed to many of the accidents. Following Lao language news video clip contains scenes of recent traffic accidents that some may find unsettling. Viewer discretion is advised.